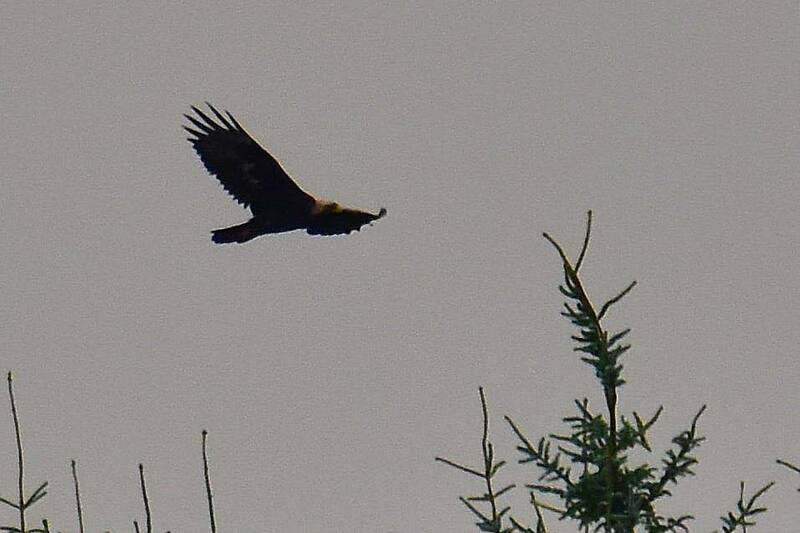 A few weeks ago, we were seeing Hope and Star, our adult white-tailed eagles at West Ardhu forest, bringing food back to the nest trees, only to eat it all themselves in front of the hungry chicks! On one occasion, after calling incessantly for half an hour, the chick that was perched above Hope decided to bend forward and poo on its mother! That shows her. This ‘tough love’ seen from the parents was perhaps an attempt to encourage the chicks – now 23 weeks old – to join them on their hunting excursions. Indeed, after a week away from the hide, I returned to deathly silence in the nest trees and views of the eagles floating around in the distance. Last week, just as I’d been explaining how elusive golden eagles are, we had one pass right over the car park, close enough to see the plumage colour. Thanks to visitor Rob White for the photos. 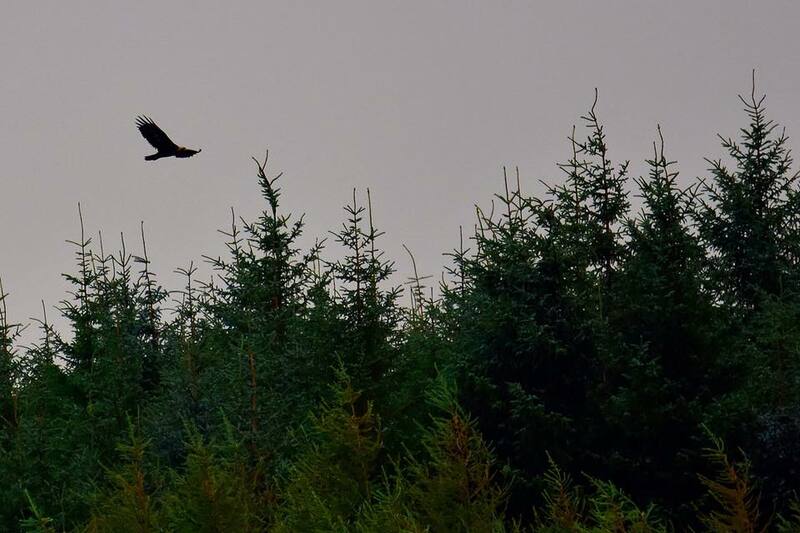 We’ve also been seeing the odd sparrowhawk and lots of buzzards and fiesty young kestrels hovering around the forest, often relentlessly mobbing the local sparrowhawk and even our eagle family! Flocks of goldfinches have moved into the area and ravens are becoming a more common sight, displaying their acrobatic flight as they chase each other overhead. Tours are still running until 18th October but, as ever, views of the eagles are not guaranteed and they are now more often seen flying around the area but do occasionally return to the nest trees for a perch.